Maiko san are often very young, they agree to train intensively giving up their teenage life to learn the importance of Japan’s past. Foreigners are not used to these kinds of concepts, in the west such a thing borders impossible. 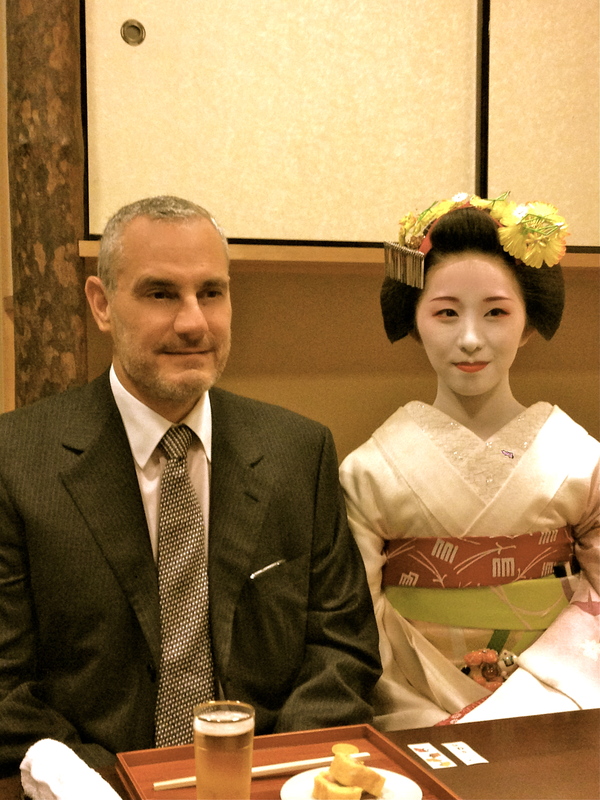 In Kyoto there are still a small number of young women that dedicate their lives to tradition, luckily many westerners do not have access but more and more it is opening up. In the end, a beautiful evening of dance and laughter, a place within a place, a lifestyle unique to their way of life. Imagine how difficult it is to maintain your hair in such an intricate way, it requires a special sleeping block.